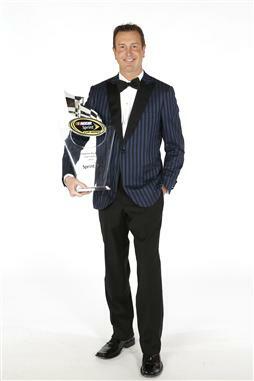 Welcome back to relevance, Kurt Busch. Although there has never been any question that Busch is one of the most talented people behind the wheel of a race car, his off track temper tantrums left him on the undesired list for every sponsor on Earth, which in turn kept him out of every desired car in the Series. Conversely it appeared Busch’s career was on the downward spiral. Heading into the 2013 season, Busch was going to drive for Furniture Row Racing to prove that he could keep his emotions in check for a full season, and that above all else he could still get the job done on the racetrack. Considering Busch had more meltdowns through his first 12 seasons than what you would see during an episode of Jerry Springer — and the fact that Furniture Row Racing had never been close to a Chase berth before — both of these events would have been long-shot bets in Vegas to say the least. Three weeks into the season, the odds of Busch keeping it together and also making the Chase looked dashed. Busch had yet to finish higher than 20th, and his detractors were already expecting a mental meltdown, but something weird happened — Busch kept his head down, and results began to come for he, crew chief Todd Berrier, and the Denver, Colorado-based Furniture Row Racing team. Back-to-back top-fives at Bristol and California got the ball rolling on what would become a magical season, and by mid-season at Daytona, Busch was sitting in ninth-place in the points. He and his team seemed ready for a Chase berth, but sailing smoothly into the Chase would not be how this story would play out. Mechanical failures at New Hampshire and Bristol — two races Busch had victory in slip from his grasp — left the little team that could on the outside looking in with just two races until the post-season would begin. At this point it would have been easy to be satisfied and settle for a top-15 points finish, but that isn’t Busch’s style, and it certainly was proven that that’s not how the only major Sprint Cup Series race team not based in the Carolina-area handles their business. Busch would produce when it mattered most by finishing fourth at Atlanta, and then following that up with an impressive second-place showing at Richmond — the penultimate race leading to the Chase — to seal himself a Chase berth. Busch started the Chase off with a fourth place finish in Chicago, but a second at Kansas, and a fifth at Phoenix were his only other top-10 finishes over the final 10 races. Despite his rough luck in the Chase, what Busch and Furniture Row Racing did in 2013 was nothing short of remarkable. And luckily for Busch, he was able to hang on to the 10th place spot in the point standings, and he was able to make it on the stage in his hometown of Las Vegas at the year-end banquet. The emotion was evident in Busch’s voice during his speech. He has come so far over the last couple of years. From being the highest of highs (2004 champion) to the lowest of lows (25th in points in 2012), Busch has seen it all. But for once he finally seems at peace with everything in his world.